"We don't want to be a single OS manufacturer"
Windows Phone coming to the Sony brand? 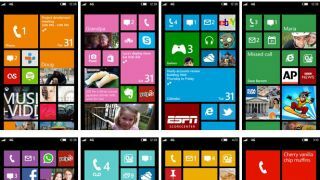 Sony has confirmed to TechRadar that it is actively looking into the possibility of launching a Windows Phone as it seeks to move away from being a single OS manufacturer. Pierre Perron, head of Sony Mobile Europe, told TechRadar it didn't want to offer only one flavour of mobile OS, stating: "We are continuing our discussions with other partners, including Microsoft, as part of our partnership with this company on the broader Sony spectrum. "[Working with Microsoft] is an interesting proposition for us in the PC environment, and we continue our engagement with them. "We are exploring this as part of our discussion in mobile space too. One thing is using the platform [Windows Phone] itself, and another is 'what can we deliver on top of it'?" There have been rumours that Sony is planning a comeback in the Windows Phone space for a while now, and this statement echoes a similar one made by Perron in 2012. However soon after that CEO Kunimasa Suzuki moved to quash such speculation, saying the company had no plans to release a Windows Phone device. The two brands do have history in the mobile space, with the Xperia X1 launching with Windows Mobile coming in 2008. However, the X2 sequel was launched but never released, and Sony has since then been focused solely on Android smartphones. "We don't want to be a single OS manufacturer, I don't think it's a viable position in the long term," added Perron. "We enjoy very much a good collaboration with Google, we've been working with them for a long time and have a level of maturity with that discussion, that's good. But at the same time, Google has a relationship with direct competitors." Perron declined to give a specific date on when we might see a Windows Phone, stating that the discussions were tentative at the moment (and clearly have been for some time) , but given the steady rise in popularity for Microsoft's OS, it seems that perhaps there may still be others looking to launch on Windows Phone too.